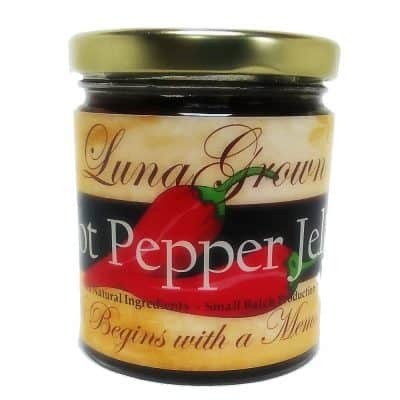 A recipe using LunaGrown Jam. 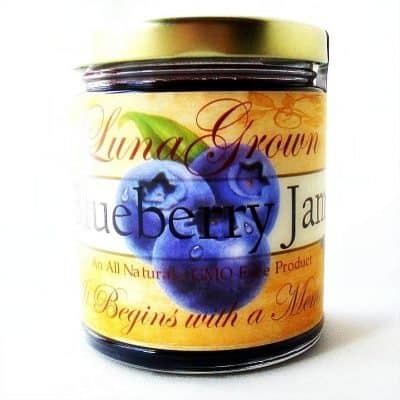 If you’ve taken the time to explore the distinguished taste of LunaGrown jam, you will more than likely be looking for excuses to use it every chance you can. These are some of our favorite recipes. We have tried them in our own kitchen prior to adding them here. These are only some of the creative ways LunaGrown can make your day memorable. When in doubt, a tablespoon in a cold glass of water is tastier and healthier than a soda! We hope you enjoy! All of these recipes have been tried and tested in our kitchen and served on our table. 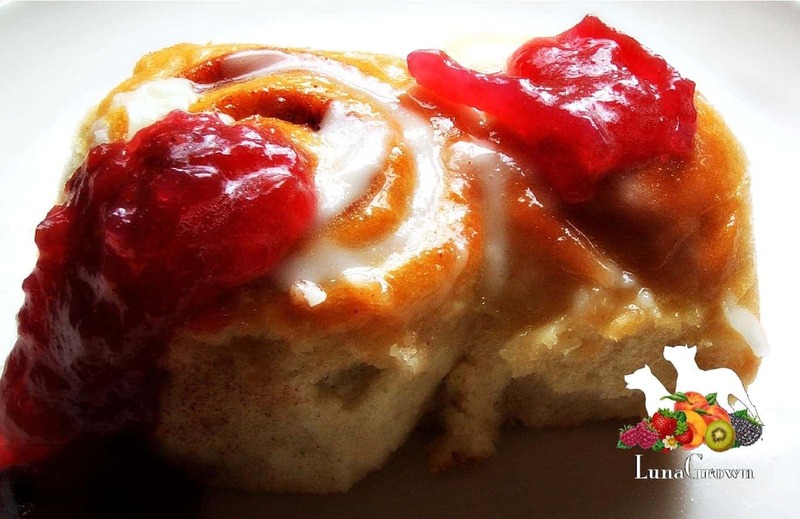 All of these recipes have been created using LunaGrown jam. Please know that not all jam is the same, and although we urge you to explore, we cannot guarantee the recipe will have the same end result using another brand. If you have a recipe you have used LunaGrown with, why not share it with us and the rest of the world! 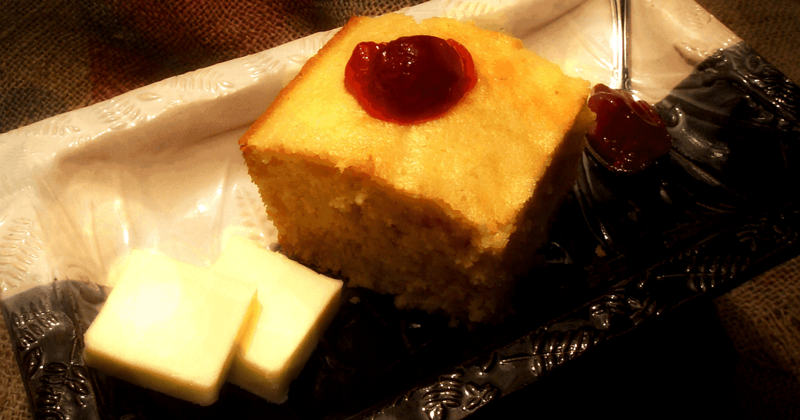 Our favorite Sweet Northern cornbread and a little bit of history explaining why Northern cornbread has sugar in it and Southern cornbread does not. We love this recipe as a stand alone on the run snack or served with smoked ham or turkey. Easy to make and easy to enjoy! I always enjoyed Swiss Jelly Rolls with jam, marmalade or ice cream or whipped cream and fresh fruit. There is just something fun about them. A wonderful creation made with a delicious sponge cake and all the imagination you can muster! Delicious easy to make scones with LunaGrown Strawberry jam! Create these scones in 30 minutes and impress your friends and loves ones. Scones with tea are always a favorite. We share our scone secrets with you learned from the professionals! Scones with Jam anytime. Scones make a wonderful gift. It came from Robert Carrier’s “250 Favourite Recipes from Around the World” which From Izzy Hossack of Topped With Cinnamon "I’ve slightly adapted to make the prep a bit quicker. It’s the perfect way to use marmalade – even if marmalade isn’t your jam (pun intended) – because it’s just such a comforting dish." One of our favorites, coconut bread baked in a loaf pan. Served sliced and toasted with Lime marmalade for breakfast, with tea, or as an evening enjoyment. Some prefer to fill the baked apple with a combination of berries and nuts topped with vanilla cream and brandy. The recipe we offer is a combination of a classically filled baked apple, stuffed with LunaGrown Cranberry Jam. Wrapped with puff pastry like an apple dumpling. We enjoy a bit of caramel sauce and some pecan on ours, however you may prefer a pat of butter and some apple brandy. We're not millionaires, but we can enjoy a baked apple like one! There is nothing nicer than a hearty, full bodied muffin to start your day with, you could even enjoy one with afternoon tea. If you love Autumn spices and you love apples then these are the muffins for you! We enjoy these muffins with LunaGrown Cinnamon Raisin Jam or Spiced Fig Jam. What a wonderful way to begin your day with the scent of Autumn spices filling your home. I love Cinnamon, I love cinnamon toast, cinnamon rolls, cinnamon Jam, cinnamon in my chili and Cinnamon bread. The nice thing about making cinnamon bread is it’s versatility. 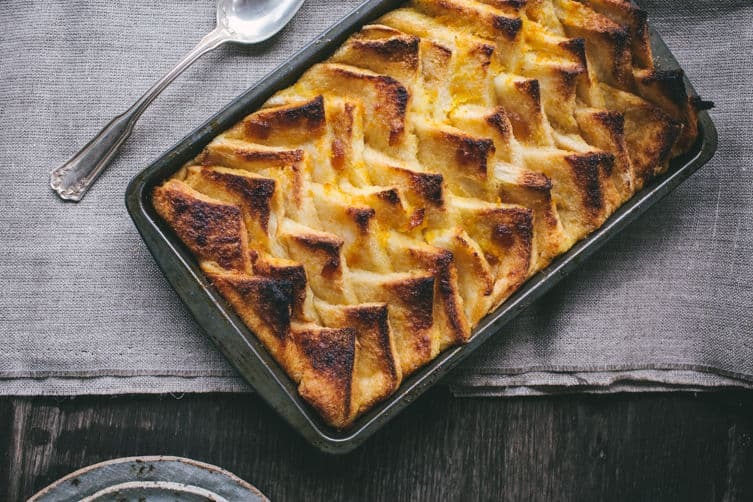 You can make it into a loaf or a ring, or cut it into rolls, it can be toasted, frozen, dunked, made into bread pudding, french toast, sandwiches… So here is my coveted recipe for cinnamon bread. Don't forget to spread some nice LunaGrown Raisin Jam across the top! Fruit in a green salad gives your palate an unexpected surprise. That touch of sweetness that balances the sometimes bitterness of the greens. Berries are a nice touch as they don’t brown like some fruits. A homemade dressing is just as easy as a store bought one. There are thousands of recipes so one could go wild with exploration. This is my standard go to dressing. I change out the jam flavor and spices to suit my desires but this is a nice standard favorite serving with any combination of green salad. I don’t know why people don’t make these little devils more often. The pastry for these takes about 10 minutes to create and they are so versatile. These in the photo have been filled with Vanilla Custard, some LunaGrown Pineapple Jam then topped with some shredded coconut and chocolate. The possibilities are endless though. Many have mentioned they have so many jars of jam they just don't know what to do with it. We got some help from "The Hungry Texan" Who racked his brain for a couple of days, got creative, went crazy, and finally made this list. He even scoured the internet and found links to provide a few examples and recipes. Enjoy! 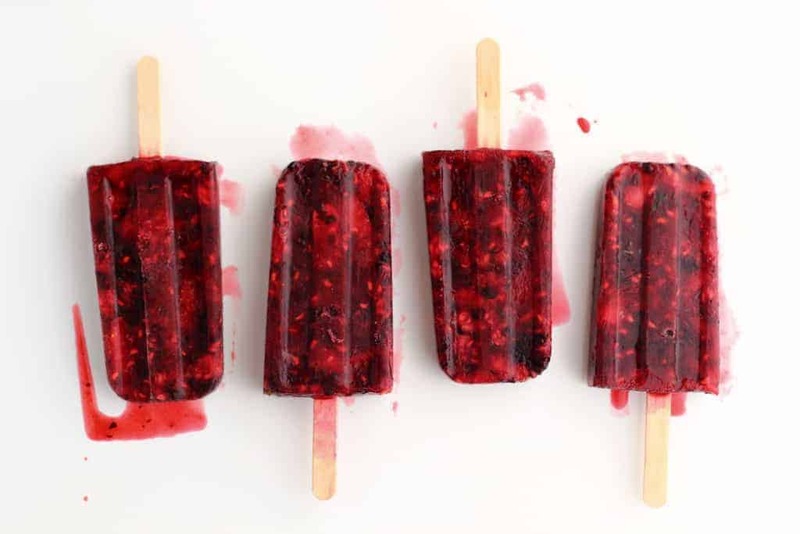 I really enjoy those frozen fruit bars from the market, and thought “I can make these at home”. So I did, and so can you! So after doing some research I found many, many different recipes. One to fit every flavor of Jam imaginable. You can purchase a nice Popsicle maker from Norpro or get one at the Dollar store. You can even use Dixie cups (I think they still make the paper ones) and put a Popsicle stick in the center. Either way these are fun and perfect for a hot afternoon! I made a batch of these cookies so that people could try LunaGrown Jam on something other than bread. I had numerous requests to purchase the cookies and suggestions that maybe I should add these to my repertoire. I make jam though. Cookies once in awhile. I hope you enjoy them! What to do with those brown spotted bananas. It always bothers me if I have to throw food away. Sometimes we have no choice. Bananas however just go from one delight to another as they age. I do prefer a just ripe, almost green firm banana for ice cream dishes, of course with jam. Also just fresh firm bananas with almost any breakfast. What can I say I like bananas, I’m a guy and for some reason we’re supposed to eat them. But the mushy brown-ish ones, eh. Of course it makes a big difference when you mush those brown-ish bananas up, throw in some chocolate chips and serve warm with blackberry jam. This bread is nice because it really is not too sweet, combined with the flavorful blackberry jam it becomes a match made for your palate. As a dog owner I am not a huge Halloween fan, but I do love the creativity that goes with this holiday. I love cookies and Jam as well as social gatherings. These Bleeding Zombie Finger Cookies are a wonderful way to get into the creepy spirit no matter how you intend on celebrating. If you have the need to really make a statement then this ice cream cake topped with LunaGrown Blueberry Jam is for you. This cake is stunning in it’s appearance and haunting in flavor. We found the best Neapolitan ice cream available in our area layered with an almond pound cake. We topped our cake off with a thick layer of LunaGrown Blueberry Jam which crowns our butter cream encased ice cream delicacy. When I was a young boy we visited Boston Harbor on what was a dark grey, misty day. It was cold and raw out. Yes there was a bit of mystery for a young boy to enjoy. But more so a general lack of things to do, This tends to make a young boys whiny children. Thanks to my Parents and a vendor on the docks I had my first jam filled crepe ever. It was strawberry and had powdered sugar on top. The Blood Orange Marmalade is one of LunaGrown’s most popular Jams and one of our favorites, we hope you take the time to try some this winter season. One of our favorite ways to enjoy Blood Orange Marmalade is on a nice date nut bread. This recipe was originally published in Good Housekeeping, and has been a favorite for many years. Enjoy with our Blood Orange Marmalade or one of our other popular Marmalades! True barbecue is an all-day event where meat is very slowly cooked over coals rendered down from flavorful smoking woods. By slowly cooking the meat over wood, it becomes infused with the smoke and the natural wood flavors. Different woods provide a different flavor. The art of BBQ is traced back to the 1800’s during western cattle drives. The cowboys often ate meats that were stringy and tough, such as rabbit or wild boar, which needed a long period of slow cooking to tenderize. 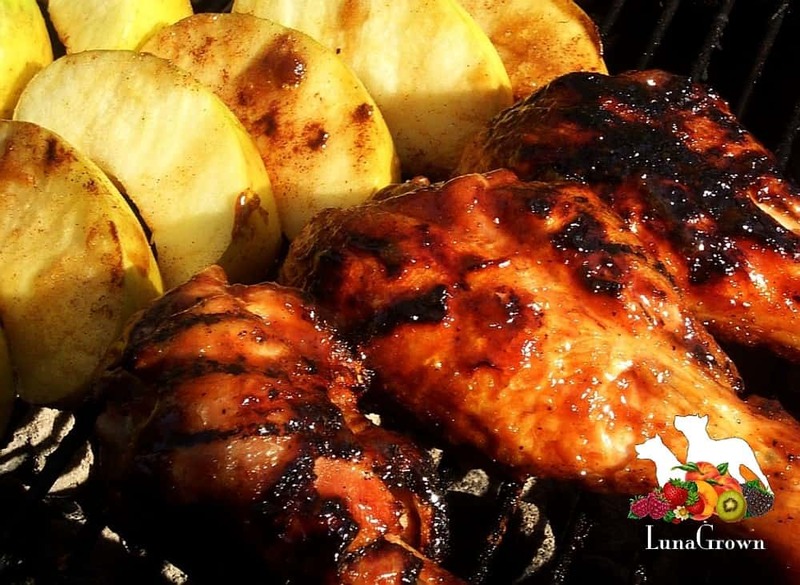 We hope you enjoy our classic Pineapple BBQ Sauce! A profiterole, cream puff, or choux à la crème is a French dessert pastry ball filled with whipped cream, pastry cream, custard, or (particularly in the US) ice cream. The Marmalade glaze can also be utilized on grilled salmon, chicken wings, even meatloaf. The hint of flavor added with by utilizing one of LunaGrow’s signature marmalade’s is enlightening. Employ our Blood Orange Marmalade or Lemon Lavender Marmalade to create a marmalade glaze that will tantalize your palate! A perfect way to celebrate at the office, a wonderful homemade gift for a close friend. The best midnight snack to follow that romantic interlude! No matter how you choose to celebrate Valentines day, these cookies are guaranteed to leave a sweet remembrance on someone’s heart. Of course a cookie filled with LunaGrown Jam will add a smile to any day! I know that homemade ice cream is not cheaper than store bought, but it tastes better and I get to control the ingredients, no mono-whipped-gluten-guar-goo in my homemade ice cream, and I can control the flavors. 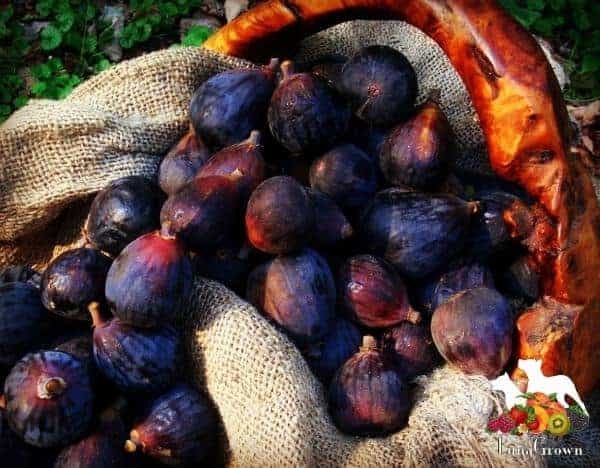 ,br>There are also some delicious sorbet, sherbert, and gellato recipes on the internet that lend themselves to LunaGrown Jam, but we’ll save those for another time. For now I hope you give this a try and enjoy the warm weather! These Blueberry Cheddar biscuits are wonderful for a morning breakfast, even an afternoon social gathering. A thoughtful gift for a friend who might be feeling a bit blue. Of course how can you go wrong with fresh blueberries and your favorite sharp cheddar cheese? Adding that sweet tartness of the Lemon Marmalade brings all the flavors together with just the right balance. Enjoy this his version of jam crumble bars, perfected by Kasha of The Farm Girl Cooks. This is the purest version we can locate so it offers the most versatility. Also Kasha’s rendition is lower in sugar than most. We love this! When I was a child, sometimes we would get pancakes for a special birthday treat. Or on occasion (when we were really extra good) for dessert. Of course we had them for breakfast with whatever the popular commercial syrup at the time was. It wasn’t until living on my own did I have real maple syrup, honey, fruit, or whipped cream with my pancakes. This wonderful cake was given to me as a gift and made with a jar of LunaGrown Fig Jam. I expected it to be tasty but I was amazed at just how delicious it was. It is actually more like a winter bread than a cake, which means I won’t feel guilty for eating the whole thing! This is a sandwich! Well yes it is! I personally love Pineapple Jam on a Turkey Melt or a Ham and Swiss Melt. Or of course Pineapple Jam on pancakes with blueberries and walnuts sometimes with a bit of warm maple syrup. Then again Pineapple Jam makes a real nice glaze on BBQ Ribs. But then I found this recipe which is kind of like a fig newton but better so I thought I would share it. This recipe is indeed a treat for your palate, as it combines the sweetness of the apricot jam, the saltiness of the soy sauce, the tangy from the hot sauce and that depth of smoke. Tie this all together and it’s just amazing. I have used this same recipe on pork tenderloin and am sure it would be great on ribs for those that are rib lovers. This is a wonderful and unexpected addition to your dessert repertoire and it is pretty easy to whip together. For some Chocolate and Pineapple have this love hate relationship. You either love the combination or you do not. However in this case it is love all the way! Some cool history to discuss over your biscuits and jam. Biscuits were usually served with brine, coffee, or another liquid warmed in a skillet. Hence biscuits and gravy. During the Spanish Armada the royal navy’s daily rations per sailor were one pound of biscuits and one gallon of beer. This remained the staple ration for military voyages until the introduction of canned goods in 1847. We are very pleased to share with you some of our favorite holiday recipes. We begin with a wonderful holiday cocktail and goat cheese appetizer. Onto our Pineapple Glazed Ham served with sauteed carrots and parsnips in a nice apricot sauce, and for dessert a classic Swiss Jelly Roll. We hope you enjoy and make LunaGrown part of your holiday meals. While there are many recipes that utilize Green Tomatoes we like ours as a savory Green Tomato Jam! While some might wrinkle their noses at the thought. Tomatoes are a fruit. Not unlike their cousin the apple they are delicious when prepared correctly no matter red or green. This simple recipe has been a go to favorite for LunaGrown for some years now. It’s simple, quick and so versatile. This coffee cake is a welcome and thoughtful addition to any breakfast or brunch. A light afternoon snack that is just so refreshing. 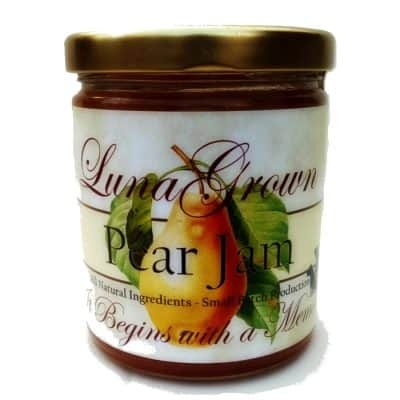 When LunaGrown is offering samples of our Jam and Marmalade we strive to incorporate our product into a dish you can serve often. We never like to hear that you have half a jar of jam left. This is one of our favorites to sample at market. Remember you can choose your favorite berries, or finely chopped fruit to use. Perhaps you will add some nuts or raisins. Pick your favorite LunaGrown jam to incorporate and enjoy! The combination in the above image is fresh Blueberries, and Lemon Lavender Marmalade. Raspberries and Orange Ginger Marmalade also make a wonderful combination! Adding a special touch of flavor to your meals is an often overlooked quality of jams and jellies. 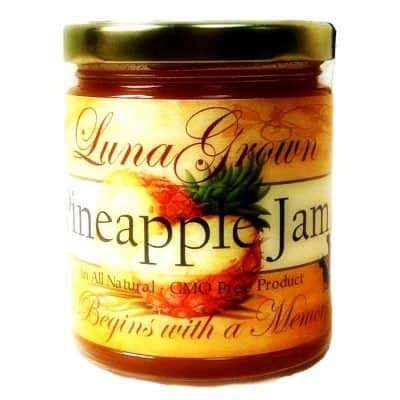 LunaGrown is proud that many of our close friends and customers write us with recipes they have created using our Jam. Here we’ll share the basics we have used in our kitchen to enhance our dishes with Glazes, Sautes, and Gravies made with Jam. Lots of people frequently skip their breakfast, but were you aware that a good breakfast is probably the most crucial meal of your entire day? Filling up with healthy goodness to start helps to pump up your metabolism and will likely keep you sharp all day. A great start with Granola, Jam and Yogurt will keep you going and keep your mind alert! These delightful cinnamon buns are a family favorite. LunaGrown takes their time when creating this treat for our friends and loved one. We like them plain with just a bit of icing. However, we find they are beyond compare when served with warm apple jam, orange marmalade, or our raspberry and strawberry jams. These little treats are a leftover pie dough creation. I’m sure you have had leftover pie dough – the stuff you cut off the edges when you fit it into a pie pan? Waste not one bit! Place a small amount of jam on each circle, then working a few at a time, dampen the edges of the circles with a bit of water. I use my finger. I hate washing dishes. Thus far this recipe has been tested with Blackberry jam, Blueberry jam, Lemon Marmalade, and Strawberry Jam with a few chocolate chips added to the cake for the fun of it. Surprisingly even with the cake, jam, topping, and icing this cake is not very sweet, or should I say not overly sweet. Once in awhile we get creative and make something that prompts our customers to ask if we sell it. 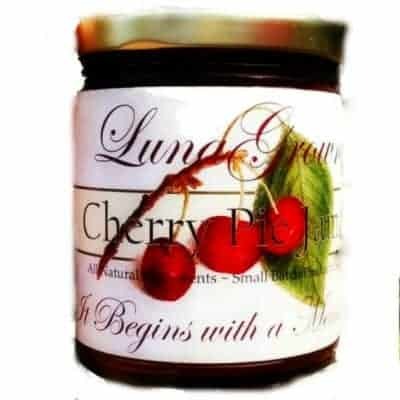 Since my love of baking usually stops at self indulgence or for sampling, rarely would LunaGrown consider stepping far beyond the jam pot. 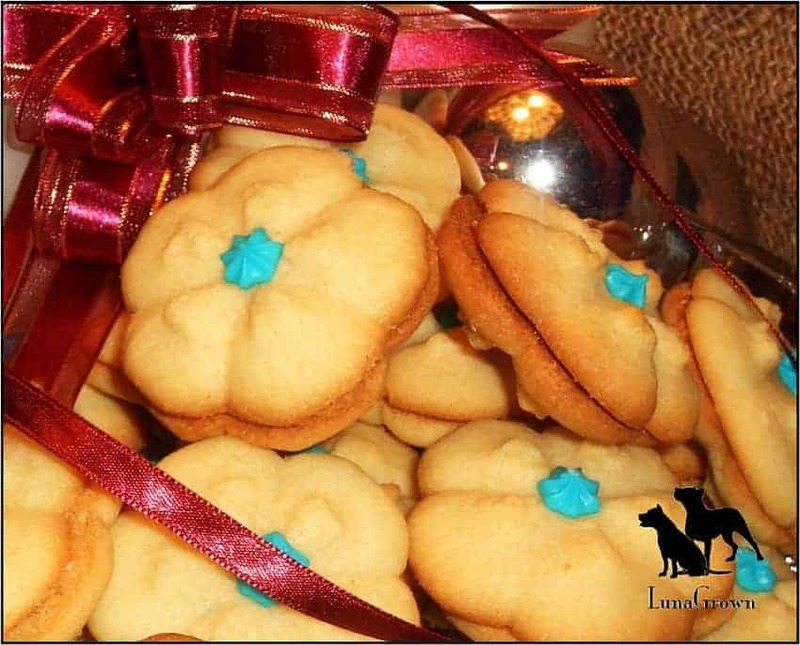 We have no intentions of creating these cookies for the marketplace and are pleased to share the recipe.